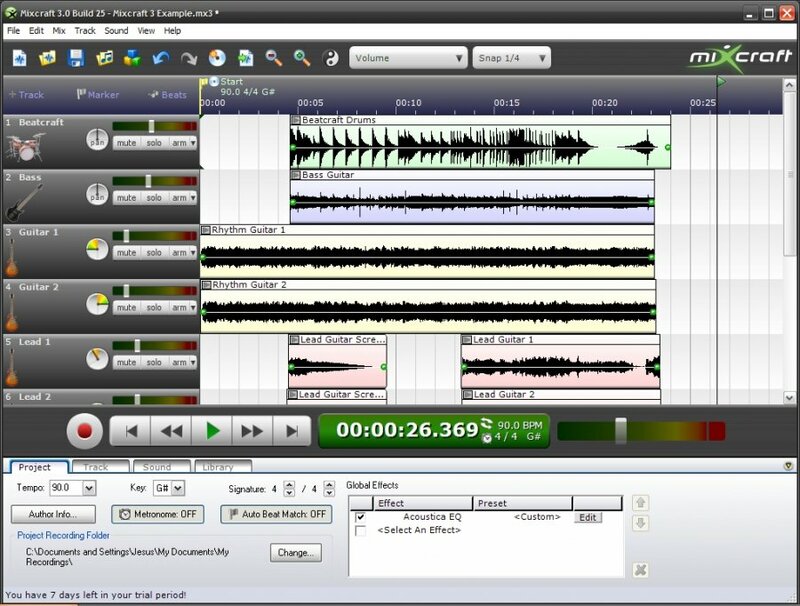 Acoustica Mixcraft is a multitrack audio editor that allows you to create your own musical pieces quickly and easily. 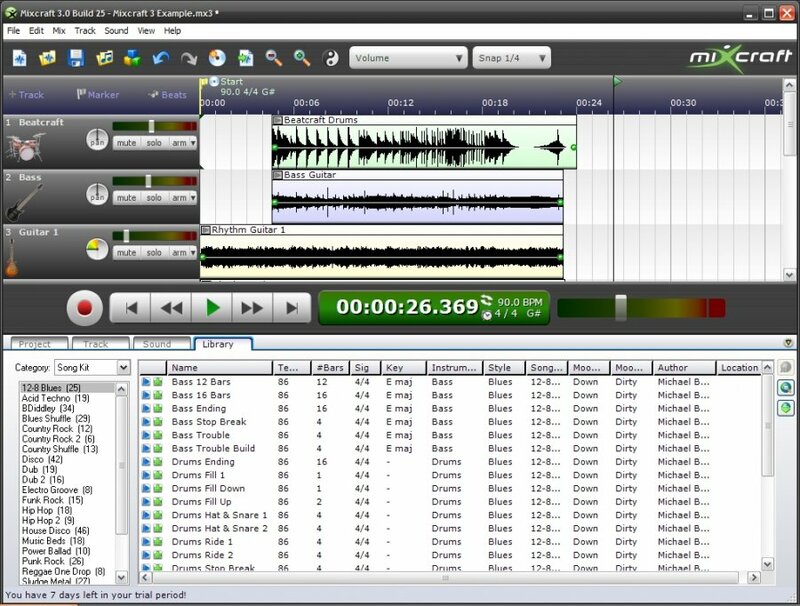 It sports features that involve professional MIDI recording, automatic remixing, VST / DirectX effects, pitch shifting, time stretching and video sequencing. 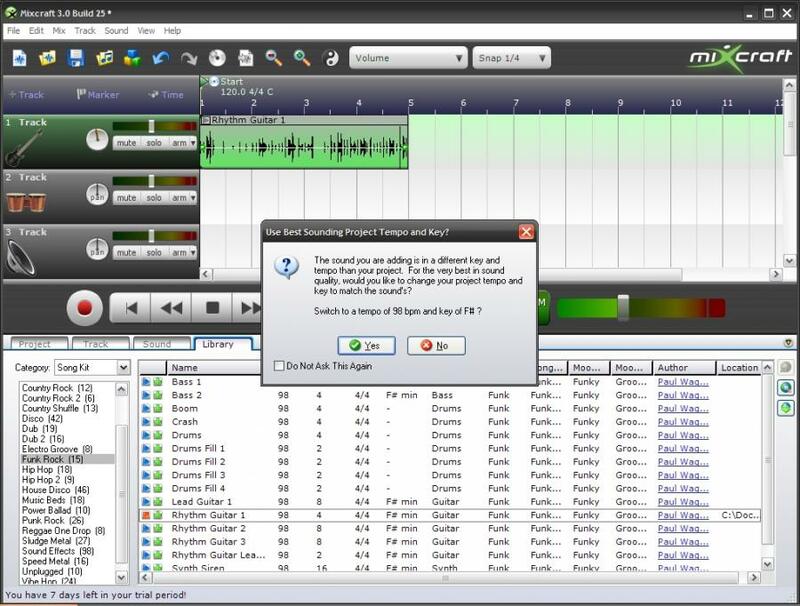 Drag and drop the piece of audio that you’ve previously recorded with a musical instrument into the program interface or insert one from the extraordinary media gallery included in the program. 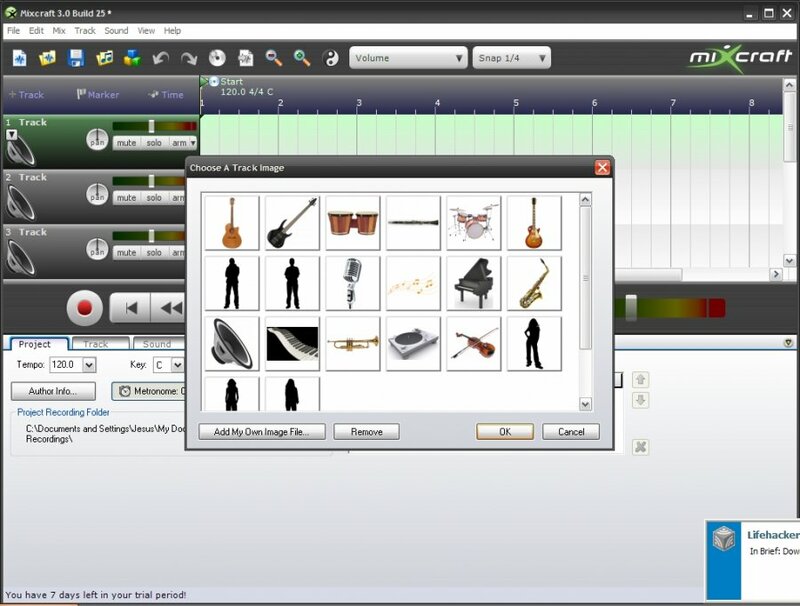 The gallery is organized by instrument, and you will need an Internet connection to download them. 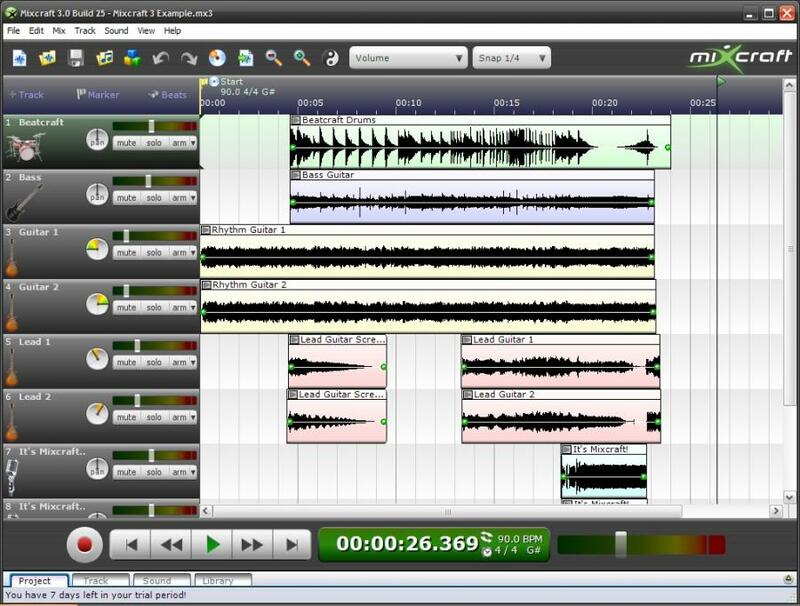 Acoustica Mixcraft also allows you to apply different sound effects to the final pieces, such as reverberation, slow motion, flanger, etc. The app is compatible with the loops from Acid and Apple Garage Band.